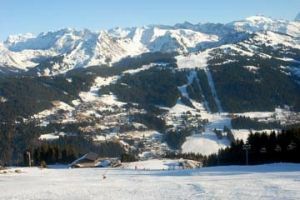 Pretty resort with a relaxed atmosphere, Les Gets offers a large diversity of slopes in a beautiful forest setting. It also boasts an interesting museum displaying all kinds of mechanical musical instruments. 600 km from Paris on autoroutes A6 and A40 till exit 18 then on roads D304 and D902 till Les Gets. Altibus bus from Cluses to Les Gets (22 km). 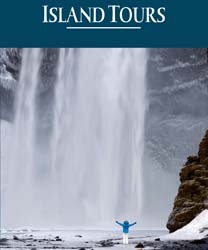 Flights from all over Europe to Geneva, then Altibus bus from Geneva airport and railway station to Les Gets (63 km). - Open every day from 2.15pm to 7.15pm, from 10.15am in July and August. Closed on Saturday from January 1st to April 30th. Situated in Haute-Savoie, midway between Geneva Lake and Mont-Blanc, Les Gets is more than a ski resort. It’s also a village boasting cultural and gastronomic attractions that retains a true Alpine charm because hotels, residences and houses have been built in the traditional chalet style using local materials. Of course, if you go there in winter it’s for skiing and you won’t be disappointed. Despite being situated at a fairly low altitude - 1172 m - and having a ski area spreading only till an altitude of 2000 m, the resort usually has an excellent snow record due to its geographic location. In addition, about one third of the pistes are equipped with snow canons ensuring they are open whatever the weather. Besides, it is located at the western edge and is part of the massive Portes du Soleil ski area that links together twelve French and Swiss resorts providing 283 runs and 650 km of skiing. Thus it is perfectly feasible for good level skiers to head over to Switzerland for lunch before returning home at the end of the afternoon. In Les Gets itself, the ski area shared with Morzine consists of 66 runs with a total length of 110 km : 9 blacks, 26 reds, 26 blues and 3 greens. Except the highest ones that go over alpine meadow, most of the runs are cut through nice fir forest and are divided into two sectors independent of each other but linked by free shuttles. On the Western side of the village, the 1826 meters high Mont Chery is the quietest one and offers some challenging red and black runs for experienced skiers as well as a good range of great off piste. It is also home to a snowpark with jumps, ramps, half pipe, boxes and a jibbing zone. Last but not the least, the Mont-Chéry provides a great view over the Alps with the Mont-Blanc in the background and these slopes being served by a cable car this panorama is accessible to the pedestrians. Located on the eastern side of the valley, the main ski area comprises runs for all ability levels. Reached by road, chair lift or gondola, and home to a couple of restaurants, the Chavannes plateau is a beginner haven with a dedicated zone where children can get introduction to skiing, and several green runs. Easy blue runs lead back to the village, passing near by a boarder cross course and a Wild West-themed children playground with teepees where are held various activities such as face painting workshops. Above the Chavannes plateau, the slopes of the Ranfoilly and La Rosta peaks offer a good choice of blue and red runs as well as those of the Chamossière and Nyon peaks located near Morzine. So, intermediate skiers can go almost everywhere, access all viewpoints and enjoy stunning view over the Mont Blanc, the Alps, the Joux Plane pass and so on. There are only a few black runs but, via Morzine, strong skiers can easily reach Avoriaz and famous challenging runs like the Swiss Wall as well as limitless off piste. In addition to downhill skiing, the resort also has 17 km of cross-country skiing trails, 35 km of signposted paths for pedestrian and snowshoers as well as an open-air ice rink located right in the heart of the village. All these features make Les Gets a particularly good choice for families. Especially since it was awarded the “Famille Plus Montagne” label given to resorts providing a wide range of facilities and services for kids and their parents such as great ski school provision, professionally run nurseries, kindergarten and so on. Moreover, there is a relaxed and friendly atmosphere, most accommodations are within short walking distance of the lifts and many after ski activities are available including chocolate workshops. An extremely rare attraction in a ski resort, there is also a very original and interesting museum dedicated to mechanical music. It houses Europe’s largest collection of working self-playing instruments making music by mechanical movement : music boxes, fairground organs, café dance organs, player pianos, mechanical accordions, violins and banjos, barrel organs, orchestrions, gramophones. For a better visit join one of the guided tours because they include musical demonstrations of some of the instruments. Another particularity of Les Gets is to be home to one of France’s smallest cheese factories : the Fruitière des Perrières. Every Wednesday a free guided tour gives you the opportunity to learn how are produced local cheeses such as Abondance, Tomme des Gets, Bleu des Gets, Saveur des Gets, similar to Gruyere, and Raclette cheese. All are on sale in a shop and the factory also runs a not to be missed restaurant where you can eat all of them, cheese-based dishes and local specialties. But there are many other places to eat in the village and on the slopes, most of them offering typical Savoyard food. Bars also abound and the party can continue late into the night in a couple of them and in the Igloo nightclub. However, nightlife in Les Gets is not as busy as in nearby Morzine and Avoriaz.